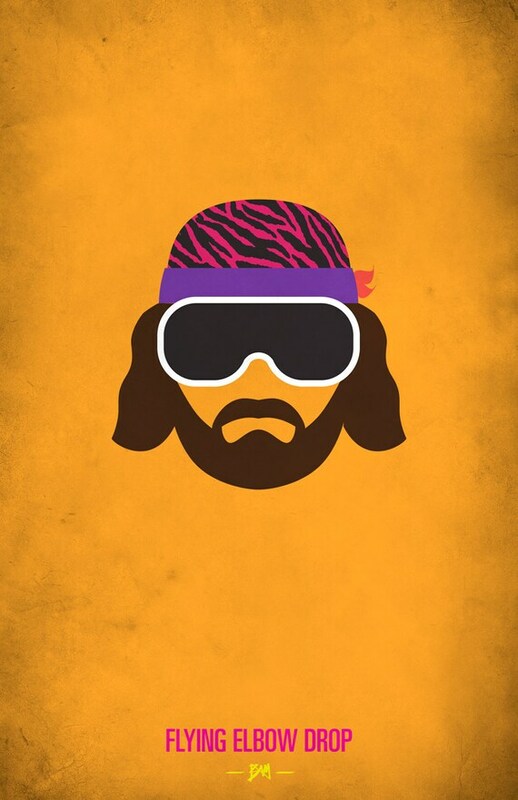 WWF Legends – The Minimalist Posters. Posted on August 13, 2012 by Big Red	in Geeky Booty, Sports Booty and tagged bamitsbernie, etsy shop, pop culture posters, sports entertainment, wwf legends, wwf legends minimalist posters, wwf posters. 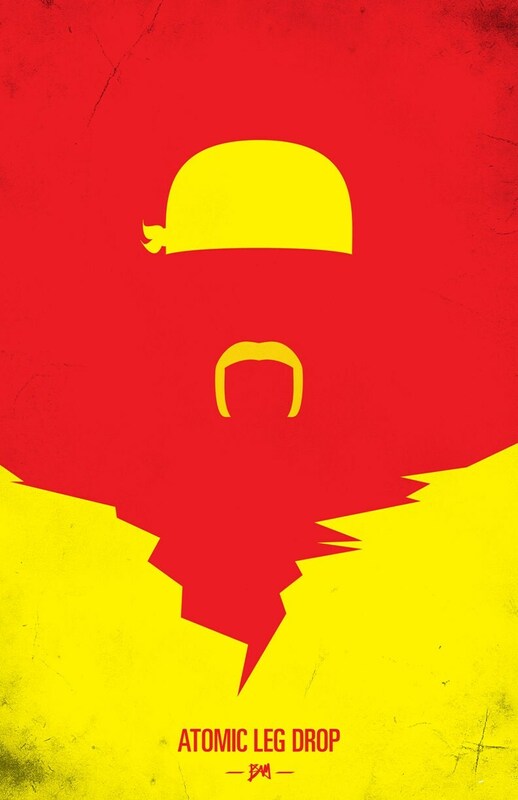 I’m a huge sucker for all kinds of minimalist pop culture themed posters. There’s something uniquely clinical and succinct about them, which is why I nearly had an aneurysm when I discovered these. 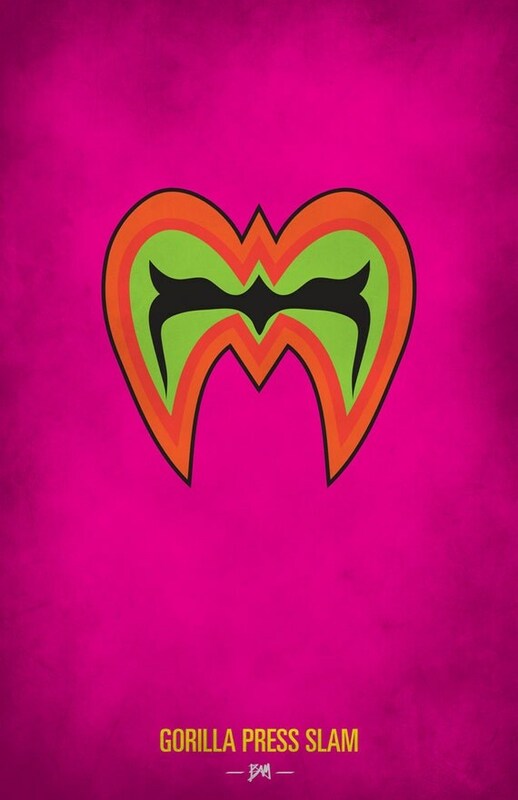 Most avid fans of 80′s and 90′s wrestling would attribute its success not only to the wrestlers’ ability to entertain the crowd, but the spirit of the unique, well-branded characters compared to culture’s current indistinguishable counterparts. 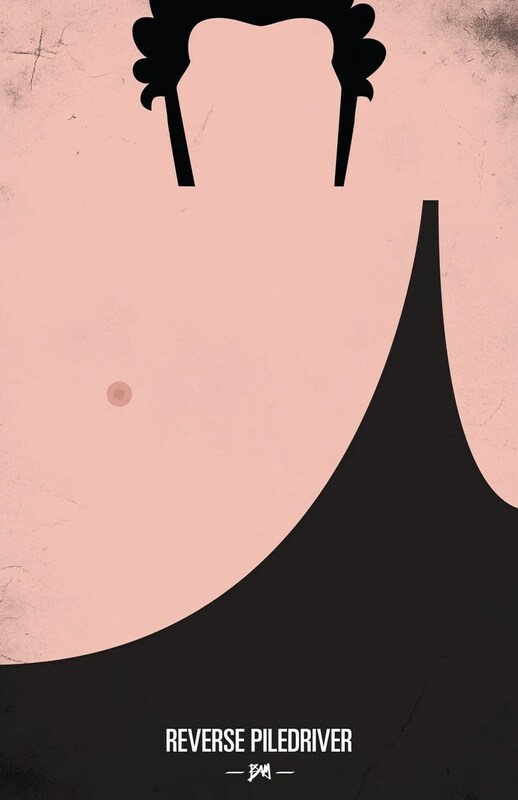 The WWF Legends Minimalist Poster Series became a challenge to tap into this theory to its rawest form and create designs that evoke the trademark personalities of the golden era of wrestling entertainment. Each poster features the simplest of visual elements that are iconic to the respective wrestler, as well as their signature finishing move. Aged element for vintage/retro feel to fit with the appropriate time reference, and finished off with my BAM moniker insignia. Chart a course for the entire collection HERE.